← RECOMMENDED: More from Casey Flat Ranch. 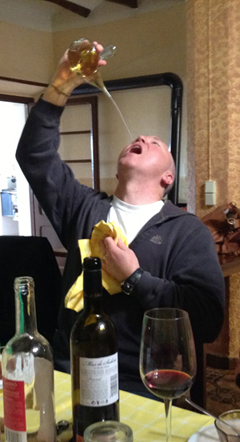 Recently, I went on a media/trade trip to Spain to visit the Freixenet (pronounced “fresh-a-net”) properties. I learned about their famous Cava, the sparkling wine made in the Method Champenoise (more on that in another post). But besides Cava, I learned about many other wines of Cataluña (also known as Catalunya and Catalonia) that Freixenet produces. The Cataluña region is in the northeast corner of Spain, bordering France (map courtesy Wikimedia Commons). 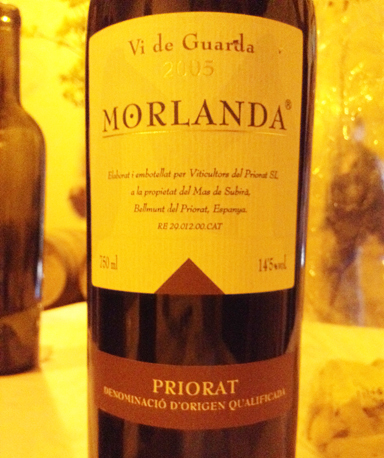 This post will focus on the marvelous wines of the Morlanda winery in Priorat, a district within the Cataluña region. windmills, is prevalent in the region. Of course, windmills have been prevalent in Spain for millennia, most famously in La Mancha, thanks to the medieval novel, Don Quixote. Tunnels and caves are common in the region, and mining is an important industry. 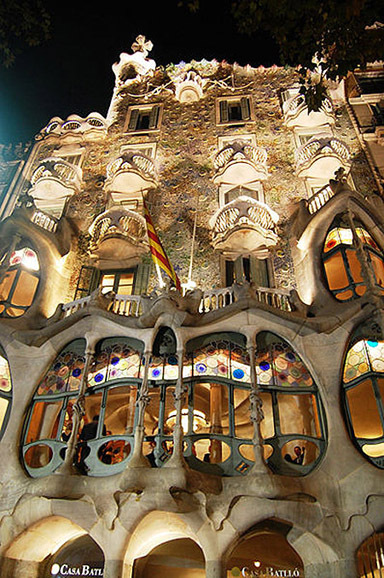 The area has wonderful architecture; buildings are often 1,000 years old. 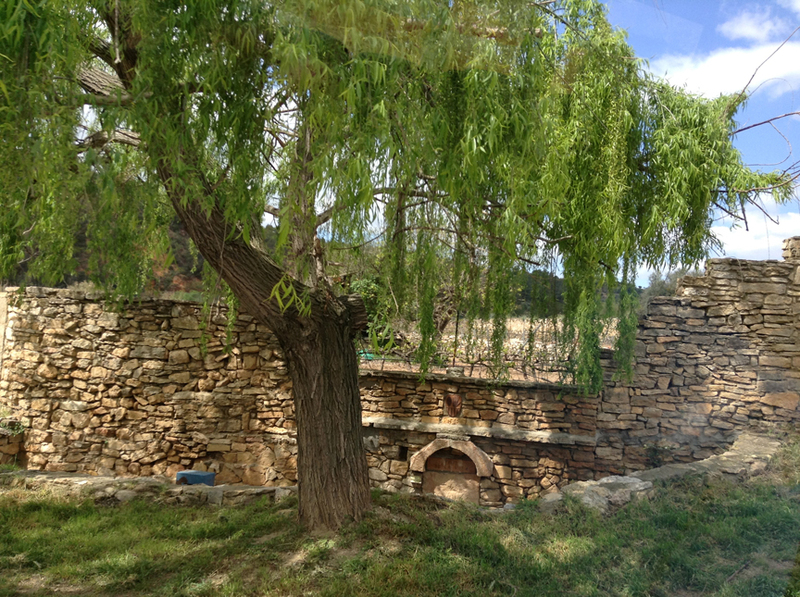 We passed many lovely groves of olive trees and almond trees. 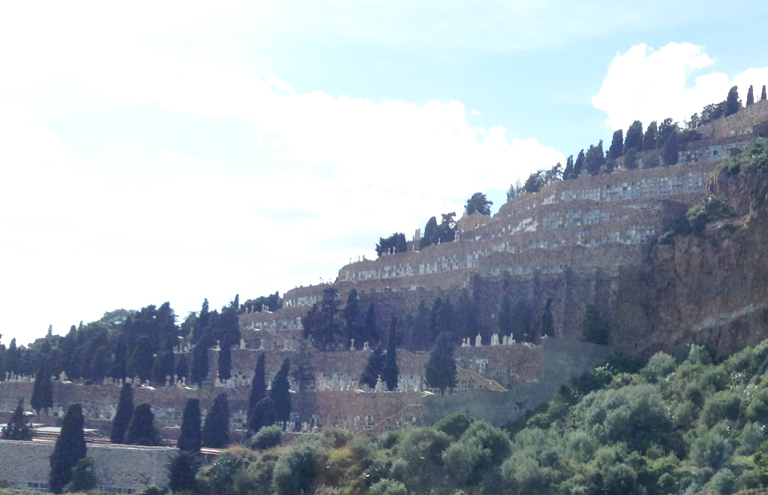 Because of the steep hills, terracing is used frequently, both in farming and in unique applications such as the graveyard pictured above. Stone walls are abundant as well. The beautiful Morlanda winery, near the town of Bellmunt del Priorat in Cataluña, is at the end of a winding country road with charming vineyards, both large and small, tucked into hillsides on the way. 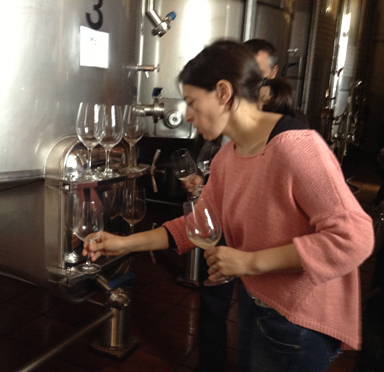 The oenologist at Morlanda is Judit Llop. Women are strongly represented in the Freixenet family. Judit has been at Morlanda for 11 years. Like many winemakers, she hails from a farming family. She has a team of three others who work with her to taste the blends together, bottle, and label the wines. Morlanda farms sustainably and uses probiotics on the vines. The whites are steel fermented, and French and American barrels are used for the reds; the winery uses their barrels for three years. Bordered by the great Montsant mountains, the area’s soil consists of chalk and clay, and the climate is very dry. With a special dispensation from the officials who govern the DOQ (Denominació d’Origen Qualificada), Morlanda is allowed to irrigate, but only for the first four years of new vines’ existence. Daytime temperatures can be brutally hot—up to 120°F. I visited in the benign month of April and temps were already notably warm. Grapes grown at Morlanda include White Garnacha, Garnacha, and Carignan; some of the vines are 90 years old. The winery has also started planting Cabernet Sauvignon and other varieties. We barrel-tasted both whites and reds, as well as earlier vintages that had already been bottled. The beautiful 2005 Morlanda red, pictured to the left, is a delicious Carignan and Garnacha blend. This dark wine was resplendent with florals, raspberries, and plum sauce, as well as an interesting meat flavor. The hillside towns are just beautiful. 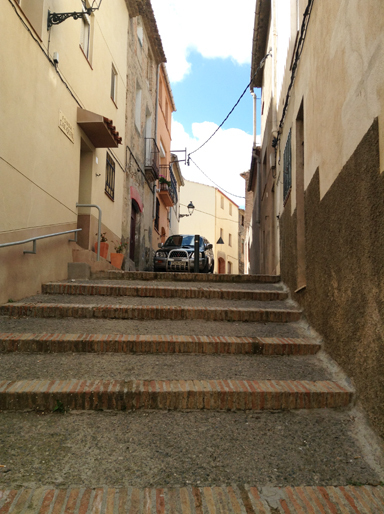 We ate lunch in the town of Bellmunt del Priorat (pictured above and to the right), in a tiny restaurant called Fonda Cal Quel that was run by a brother and sister of a certain age in their 200-year-old home. The picture to the right was taken from the street/alley leading to their home/café; theirs is the first door on the left. Along with several wines from the Freixenet family including some from the Priorat as well as the Montsant district (the subject of another post), we were served salad, canneloni, local almonds and cashews, and an amazing beef stew with peas and onions. 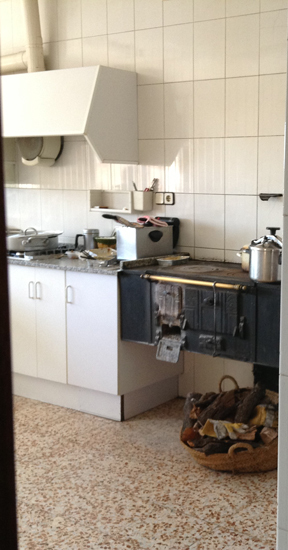 The stew was baked in their wood-fired oven, pictured below. For dessert we enjoyed flan, pound cake, and homemade whipped cream. We were also introduced to The Spanish porrón, a little bota-like vessel that is typically used in Cataluña and the rest of Spain. A few of the more brave members of our group tried this ultimate method of aeration, with napkins at the ready, some more success- fully than others! Graffiti was seen here and there but it wasn’t obnoxious. 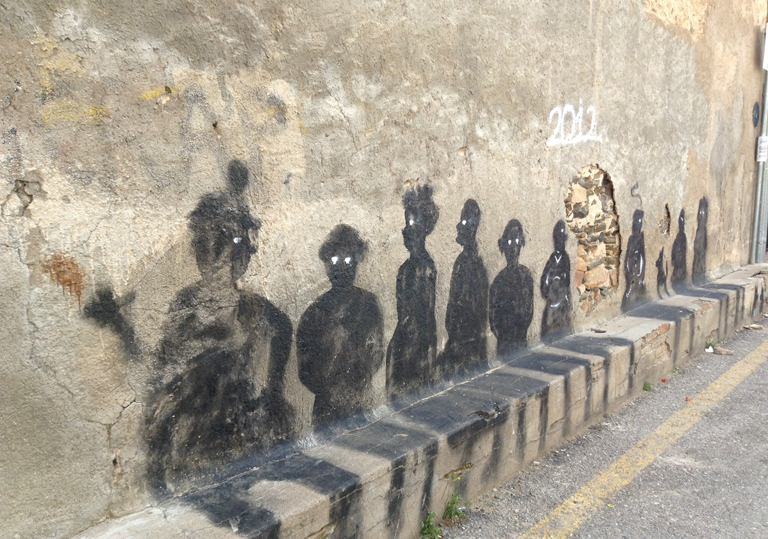 Some of it was amusing and even very well done, such as this strange piece of street art in Bellmunt del Priorat. In Priorat, trees are pruned like the grapevines so that they are gnarly. I enjoyed seeing many roundabouts and lovely European side streets that are such eye candy to my soul. The wine pictured to the right, the 2009 Mas de Subirà, is a delicious blend of 60% Garnacha, 30% Carignan, and 10% Cabernet Sauvignon. Weighing in at a whopping 15% ABV, it is an intense cherry red wine loaded with ripe red and black fruits and a layer of oak. WEB NOTES: To make Morlanda, we choose the oldest plots on the estate which are nearly 50 years old. As for the winemaking process, we produce wine from each plot separately in 10,000 or 5,000 litre tanks. 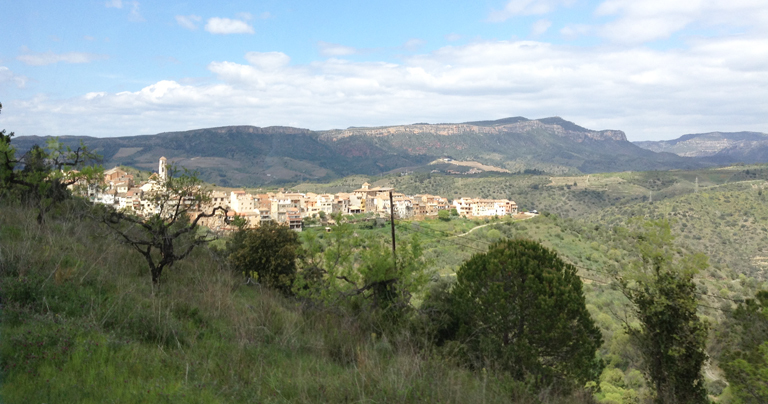 The estate is located in Bellmunt del Priorat. The vineyards surround the winery among rolling hills where we grow the vines on terraces facing different directions, which requires that we conduct thorough canopy management on each plot: shoot thinning, leaf pulling, different degrees of tipping, cluster thinning—a full range of tasks essential to achieving ripe, concentrated, healthy grapes, which are the key to making Morlanda. Soils are predominantly clay loam. 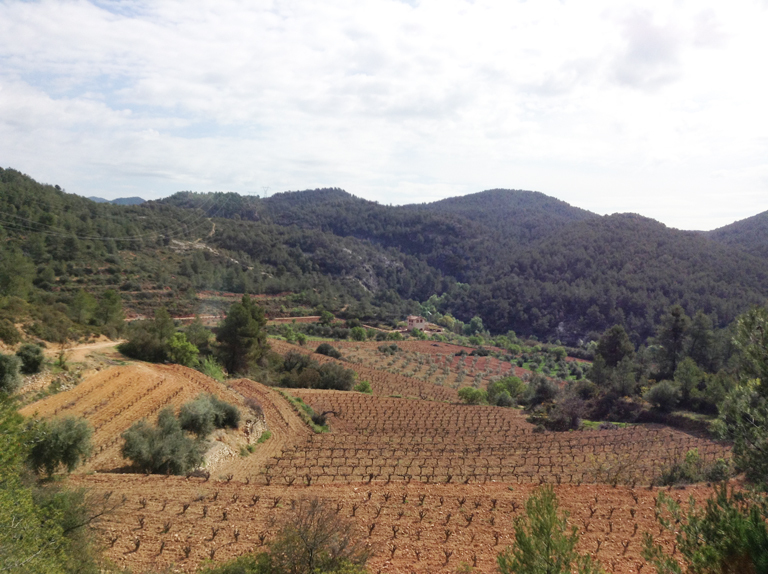 The company also has four hectares located in another area of Bellmunt with slate soil characteristic of Priorat. Media/trade trip courtesy of the Freixenet company. 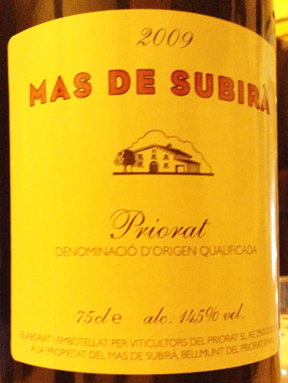 This entry was posted in Cabernet Sauvignon, Carignan, Cava, Grenache/Garnacha, Spain, Visits to Vineyards/Winemakers. Bookmark the permalink. I received a bottle of Freixenet for a birthday gift in Feb. Years ago I would have re-gifted but given Spanish sparklings are made in the same method as champagne, I have become a huge fan of cava. Delicious but at a third the cost. Congrats for this wonderful experience. This region is amazing and has a lot to offer!